According to court documents obtained by Us on June 12, a judge feels the actor should be allowed to spend time with his kids. The docs state “it is critical each of [the Jolie-Pitt children] have a healthy and strong relationship with their father and mother,” and that not having a relationship with their father is “harmful” to Maddox, 16, Pax, 14, Zahara, 13, Shiloh, 12, and twins Knox and Vivienne, 9. The 54-year-old Ocean’s Eleven actor already appears to be spending more time with his six children than in the past. Us Weekly confirmed that he spent Father’s Day with his brood in London on Sunday, June 16, where Jolie is currently filming Maleficent 2. In 2017, the 43-year-old actress brought all six kids to Addis Ababa, Ethiopia, on Father’s Day. 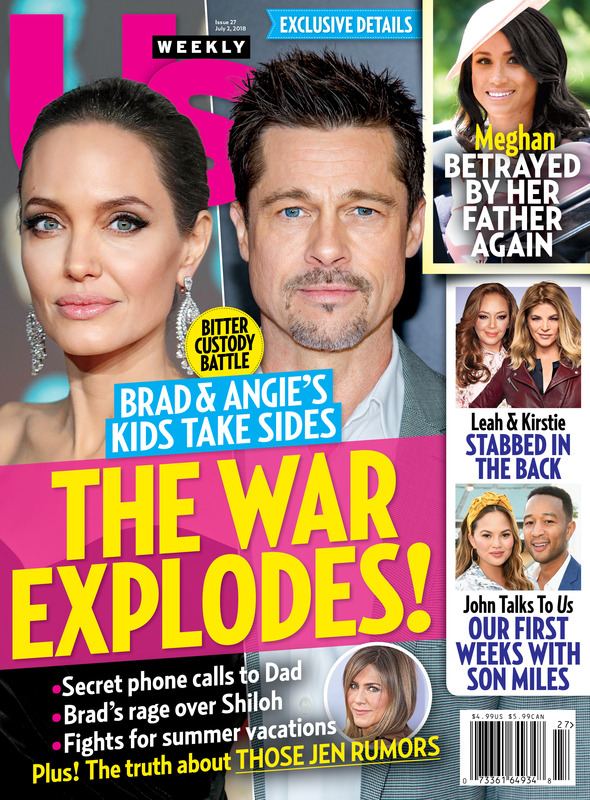 For more on Pitt and Jolie’s custody battle, including the detailed visitation schedule and the truth about those Jennifer Aniston reconciliation rumors, pick up the latest issue of Us Weekly on newsstands now!